Vampirella - 5 ply gradient yarn, 2 colors: burgundy, black. Fiber Content: 50% cotton 50% polyacrylic. Sternenglanz (starshine) - 5 ply gradient yarn, 2 colors: vanilla, light gray with irisée glitter. Fiber Content: 50% cotton 50% polyacrylic. Schokobeere (chocolate berry) - 5 ply gradient yarn, 2 colors: chocolate, chianti with copper glitter. Fiber Content: 50% cotton 50% polyacrylic. Black Beauty - 5 ply gradient yarn, 2 colors: black, anthracite. Fiber Content: 50% cotton 50% polyacrylic. Nostalgie (nostalgia) - 5 ply gradient yarn, 3 colors: rose, rosewood, chianti. Fiber Content: 50% cotton 50% polyacrylic. Africa - 5 ply gradient yarn, 3 colors: anthracite, port, rust. Fiber Content: 50% cotton 50% polyacrylic. Kuss der Nymphen (Kiss of the nymphs) - 5 ply gradient yarn, 3 colors: green melted, riviera, pistachio. Fiber Content: 50% cotton 50% polyacrylic. Ice Bonbon (ice candy) - 5 ply gradient yarn, 2 colors: white, riviera. Fiber Content: 50% cotton 50% polyacrylic. 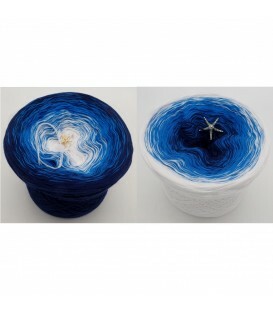 Titanic - 5 ply gradient yarn, 3 colors: white, sea blue, royal blue. Fiber Content: 50% cotton 50% polyacrylic. 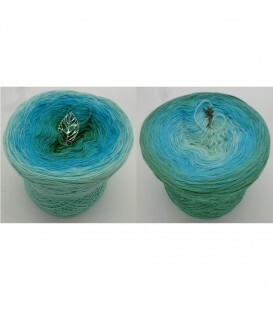 Order online Lady Dee´s Traumgarne 5 ply gradient yarns in different lengths. Beautiful 5 threads hand-wound coloring yarns with different numbers of colors. 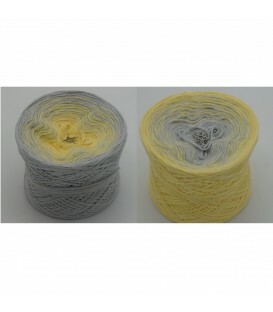 The 5ply gradient yarn is ideal for cloths, scarves, sweaters, ponchos, hats etc. The recommended needle thickness is 3 - 4 mm. You can also use any other needle size, depending on how tight or loose your project is.